There will be many of you who will need a break from the heat and the panting up and down Cagliari's steep hills. 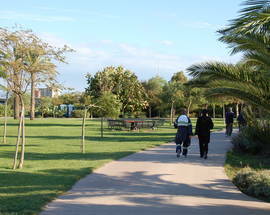 There are some beautiful, breezy parks with lots of trees and shade, vital in the summer months! Make the most of them! On the western side of Urpinu Hill (Monte Urpinu, via Leo, Jan, Dec open 07:00 - 18:00, Feb, Nov 06:30 - 19:00, Mar 06:00 - 19:30, Apr 05:30 - 20:00, May 05:00 - 21:00, Jun - Aug 05:00 - 22:00, Sep 05:30 - 21:00, Oct 06:00 - 20:00) there's a pleasant pond with ducks and geese, while peacocks walk freely all over the gardens. They're fairly shy animals, so you might need to be on the look-out if you hope to see some. 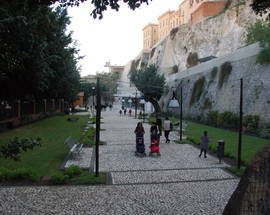 If you get all the way up to the top, you'll be gratified by a splendid view of the gulf of Cagliari and of the city. It has easily the best children's play area in the city, along with plenty of shady benches surrounding it for tired parents to relax on. At the top of St Michael Hill (Colle San Michele, via Cinquini, Jan - Mar open 07:00 - 19:30, Apr, Oct 07:00 - 20:00, May, Sep 06:30 - 20:30, Jun - Aug 07:00 - 19:30) is the homonymous castle, which hosts exhibitions. 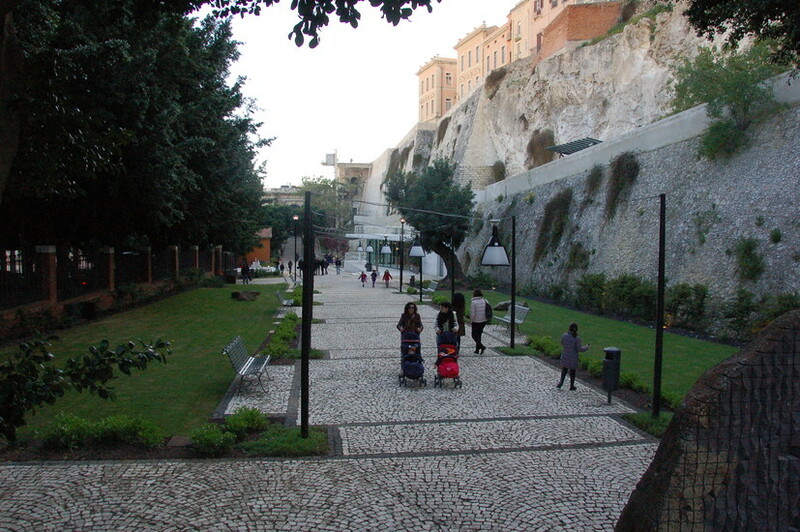 Its children's play area is a little smaller than the others, and its one toilet is a little hard to find, but this really is the place to come if you want the best views in all Cagliari as from the top of the hill you can see for miles in all directions. In the grounds there is both a bar and a restaurant and there is even a lift for those who don't fancy the, admittedly steep, climb to the top. 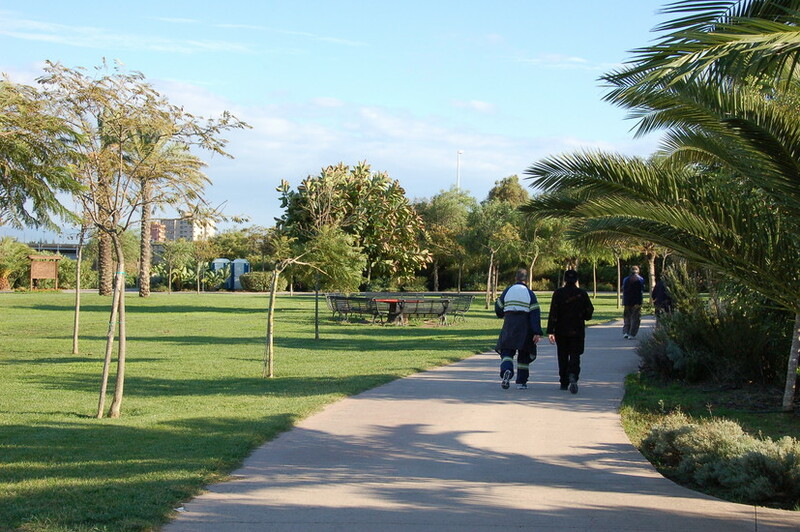 Monte Claro Park (Parco Monte Claro, via Cadello, open 06:00 - 24:00, Nov - Apr 07:00 - 21:00) is often chosen by joggers and undergraduates, thanks to its gentle slopes and proximity to university and sport facilities. Its pond, although smaller than that at Urpinu Hill, is the habitat of some very amiable ducks and there is a café very close to the waters' edge. There are clearly sign-posted toilets, as well as several very useful drinking water fountains dotted around the park. The Public Gardens (Giardini pubblici, via Badas, Jan, Dec open 07:00 - 20:00, Feb - Mar, Nov 06:30 - 20:00, Apr 06:30 - 20:30, May 06:00 - 21:00, Jun 06:00 - 22:30, Jul - Aug 06:00 - 23:00, Sep 06:30 - 22:00, Oct 06:30 - 21:00) are a green oasis just under the towering walls of Buoncammino and between the ancient districts of Castello and Villanova, ideal for joggers, children or just a relaxing stroll. 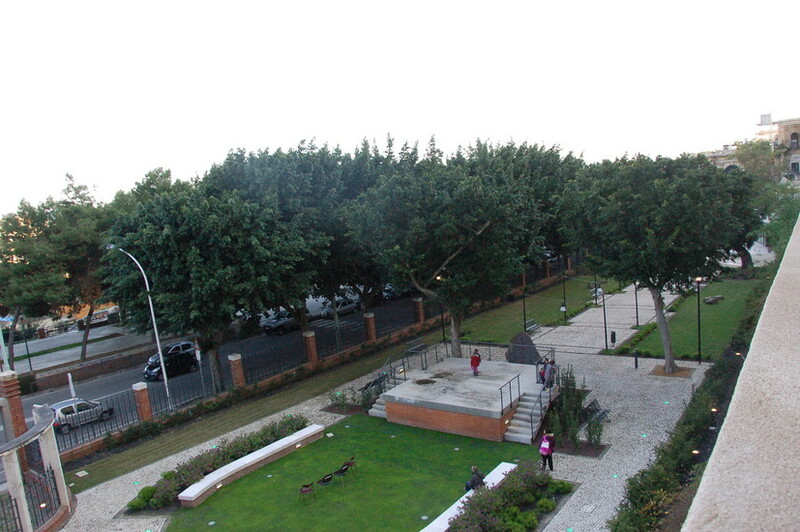 The Garden below the Walls (Giardino sotto le mura, viale Regina Elena, open 07:00 - 24:00) opened in March 2014 and is a pleasant green area in the heart of the city. Perfect for a refreshing break from shopping or sightseeing, this charming garden runs along the ancient city walls below the towering Saint Remy Rampart. 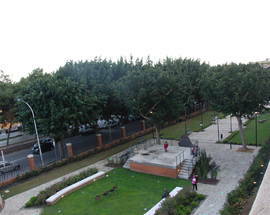 The garden is enriched with seven sculptures by the local artist Pinuccio Sciola and is wheelchair friendly.